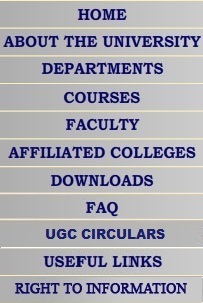 The H. K. Centre for Professional Training is an ambitious organ of Gujarat University established in the year 1974. It has been providing various intensive courses to the student community especially the uneBmployed graduates with a view to furthering their chances of einployability. The selected candidates are required to pay the stipulated Course Fee in one single installment in cash. Fees once paid will, in no case, be refunded. The students are required to be regular and punctual in attendance as these courses have been designed to impart intensive training. Students unable to attend atleast 80 per cent of the total number of lectures will make themselves non-eligible for taking the Final Test. The attendance of the students carry marks. ( a ) Students will have to take Two Tests�Mid-Term / Year Test and Final Test � compulsorily. ( b } The Final Test will be followed by Viva-Voce and appearance thereat will be obligatory. Note : There will be no provision for Re-Test at any stage. However students can appear for Mid/Final teat with next year course paying required fees. ( c ) Students opting for Office Management and Banking Management Courses will have to undergo on-the-job training as stipulated by the centre and also to submit two copies of their report in connection with the training undertaken by them. They will also be required to write a Master Essay concerning the topic opted for by them in accordance with the instructions given to them by the faculty concerned and to submit two copies there of to the centre for assessment and evaluation. For the efficient conduct of these courses, academicians from Colleges, University Schools and Departments are invited, along with Professionals and Specialists from Government, Semi-Government and such other Organizations & Institutions. Efforts are also made to organize Seminars, Work-shops etc. to provide enough opportunities to the trainees to develop their personality and also to equip themselves with adequate and up-to date knowledge so as to upgrade their chances of employability. 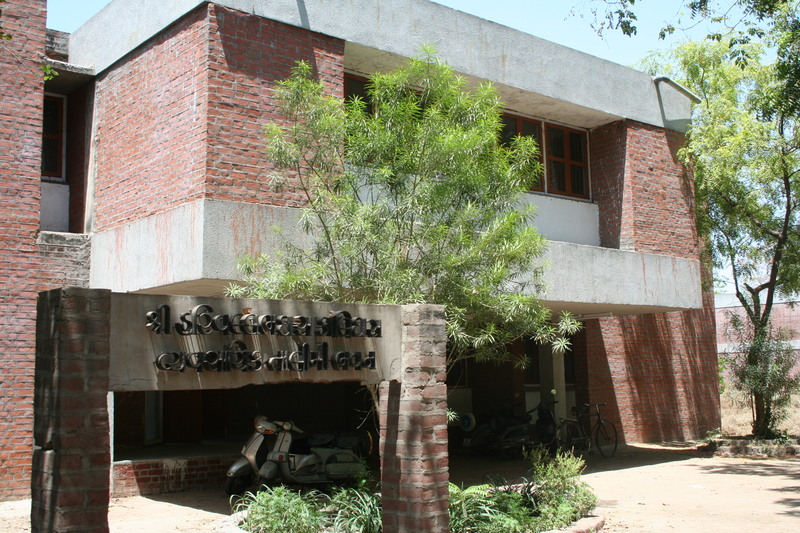 Students of the Centre can avail of the services and facilities offered by the Centre's own Library & also the Gujarat University Library in strict accordance with the rules and regulations laid down by the centre and the Gujarat University Libraries from time to time. The usual timings for the courses will be 3-00 p.m. to 6-00 p.m. from Monday to Friday, generally speaking. Students may, however, be required to attend extra classes outside the abovementioned hours and even on a Saturday if such a need arises for completing the courses, satisfactorily. When the students of the Office Management and Banking Management Courses are required to undergo on-the-job training, they will have to be ready and willing to undergo such training outside the abovementioned timings. The subject of International Trade involves high potentialities for jobs as well as self-employment as Professionals. This course' aims at familiarising students with the diverse phases of Export-Import Trade. The Course designed, is very much job-oriented and can help youngsters in undertaking jobs as Export officials, or even in preparation of Export-related documents etc., with Export houses. ( a ) How Foreign Trade differs from Domestic Trade. India's Foreign Trade and World Market. Recent Trends in Foreign Trade. Basic Principles of International Marketing. ( c ) Market Entry Strategies. ( a ) Exim policy - 1992-97-Handbook of procedure-negative list-Export oriented units. ( b ) Merchant Exporter-Manufacture Exporter etc. ( c ) Duty exemption Pass Book Scheme. ( d ) Foreign Trade (Development & Regulation) Act, 1992 (Departmental Organisation) Export promotion agencies. Timing : 6.00 to 8.00 p.m.
PAPER II will be as shown in the German language syllabi. Reference Books : Panorama I, Bone Route I, Nouvelie Espace I, Campus I, Vocabulaire progressif du francais avec 250 exercices corriges : Niveau interme'diair : de Anne Lete, Claire Miquel.. Conjugaison progressive dufrancais: Cahier de 400 exercices de -Michele Boulares, Odile Grand Clement. Exercices de grammaire en contexte, niveau mtermediaire(Corriges). Exercices de grammalire en contexte, neveau avance (Corriges) De Anne Akez, et al. Standard of Passing Examination; To pass the Certificate Examination the candidate must obtain minimum of 50% in each paper. A+ ..90% or more, A ...80 to 90%, B+ ...70 to 79%, B ..60 to69%, C ...50 to 59%. Recommended Books: Sparchkurs Deutsch 1 & 2, Deutsch aktiv 1 & 2, Deutsch als Fremdsprache 1A & IB, Alles Gute & Language Films, Kontakt Deutsch I, Moment Mal I and materials recommended by the faculty.